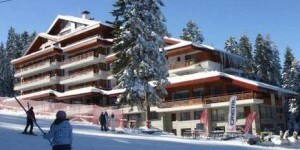 For the cheapest ski holidays to Bansko & Borovets, Bulgaria. Ski Trips is the leading ski holiday specialist in Borovets and Bansko package holidays, and now that we're in our 12th year we are currently offering 12% off all ski holidays to Bulgaria. During our time we've established close working relationships with all of the hotels and ski schools in the resorts and we have negotiated unique discounts that just aren't available anywhere else. That's why we can guarantee to offer the cheapest prices anywhere, internet or on the high street. If you can find the same holiday for less (we promise you won't be able to!) then we'll give you £40 per person. 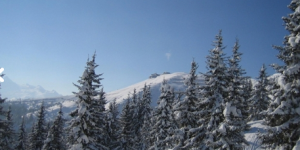 Bulgaria is one of the most up and coming ski holiday destinations in Europe. The main attraction is that it's just such good value. 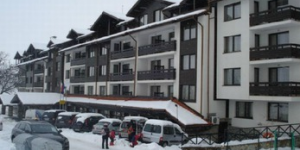 We're able to arrange ski package holidays for less than £450 per person staying in modern 4* apartments right next to the gondola, and this price also include private transfers and a full 6 day ski school package! Borovets and Bansko are aimed at beginner and intermediate level skiers, as they both have some of the best ski schools in Europe will renowned Olympic ski instructors. All of our hotels are 4* standard or above, with the majority being located within a 5 minute walk of the main gondola and ski lift. We also have close links with all of the ski schools in Borovets and Bansko and we're not tied to any of them, so we can select the most appropriate ski school or ski depot based on your needs. 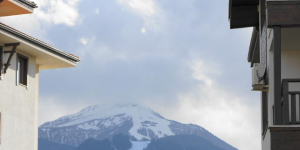 We ensure that all of our ski instructors are fully qualified with many of them having won numerous awards, and they all speak an excellent standard of English. We also have ski packages that include tickets for the Horizon Music Festival in Bansko, Europe's greatest ski party. Now in it's 5th season, between March 10th and the 15th 2019 thousands will descend on Bansko in advance of the 30 hedonistic parties including forest stages, secret hotel gigs, abandoned factories, and of course super-clubs. Early bird tickets are currently available. So whether your choice of break is taking the family snowboarding in Borovets during the 2019 school half-term holidays, or a group holiday for a long weekend in Bansko, or even a stag or hen do – we’re confident that our prices and customer service are unbeatable. How are we so cheap? We are in direct contact with some of the best owners of accommodation who offer significantly cheaper prices than the hotel chains or travel agents do. And because we have so many customers this has allowed us to negotiate huge discounts with the local ski schools (the very same ski schools that the major travel agents charge you full price for) – our typical discount is 25% so when you consider that an average week ski school would cost £230 per person this can amount to a huge saving. If you like what you’ve read so far, then please get in touch using the Ski Holiday Search tool at the top of the page. We will then search for the best deals that match your requirements and get back to you with a personalised quote. If you like our prices (and remember we guarantee to be the cheaper than any other like-for-like holiday) then all we need is a deposit before we can start to book your ski holiday. If you’re fed-up paying £8 for a mug of hot chocolate at the bottom of the ski slope then it might be worth conferring a ski holiday to Bulgaria. Both Borovets and Bansko have always been known for offering great value (even the Daily Telegraph agree!) however in recent years they’ve also progressed their facilities partly due to their bids for the 2018 Winter Olympics. 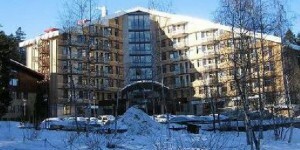 and are quickly becoming one of the must-visit destinations for ski holiday-makers. Borovets especially is known as having some of the best ski schools and international ski instructors this side of the Atlantic.